Twenty-three people are still unaccounted for on the Costa Concordia. Death toll currently remains at 11. Divers are having a difficult time seeing in the incredible darkness. In addition, the ship is shifting, causing additional concern for the drivers. Search efforts have been suspended. There is no word as to when search will resume. In The News: January 14, 2012Death toll is at 6, with more still unaccounted for, after a cruise ship carrying more than 4,000 people ran aground off Italy. Our thoughts and prayers are with the victims and their familiies, as well as the rescue workers. If you have suffered an injury on board a cruise ship or injuries while on a shore excursion arranged or sanctioned by the cruise ship company, you may have a claim for personal injury. Likewise, if you were employed to work aboard a cruise ship, federal maritime law, called the Jones Act, 46 USC 688, provides comprehensive coverage for crew members who are injured or die through negligence of their employer. 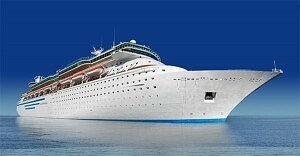 Victims of cruise ship accidents may be entitled to compensation for medical bills, lost wages, and pain and suffering. If you were a passenger and were injured on any ship, please contact a cruise ship accident lawyer at Cellino & Barnes. What Should I Do If I’m Injured in a Cruise Ship? Report the accident right away to the ship’s safety and security officer. Write down the names of the personnel who assisted you and request copies of the incident report. Take photos of the accident scene and condition of the area before the area is cleaned up. Get the names of any witness to the incident and get written statements when possible. Get immediate medical help either in the ship infirmary or off the ship. Contact us and let one of our experienced maritime lawyers help you. Read more about Boat Accident Statistics.